In Quantum theory when two electrons ‘know’ each other they are forever linked. Remember, I’m just a story teller not a scientist or mathematician so the theories I use here are only the vaguest echoes of fact. Of course, in a quantum world fact is a moving target. Back to my electrons. Let’s name them Fred and Ethel. Fred and Ethel met before the big bang. The youth hostel they were staying in was crowded to say the least. Fred and Ethel had a brief fling and then were flung to the ends of the universe. End of the relationship? Not according to quantum theory. Love/communication is not determined or diminished by either time or space. (If time or space is real, but we’ll push that to another exploration.) An electron guided experimentally will cause another electron previously paired with it to move in exactly the same way at exactly the same time, distance notwithstanding. So if Fred turns into a diner on Earth, Ethel, who happens to be on planet 123 in the Andromeda Galaxy, is aware of Fred’s turn and if she’s hungry, makes the exact same turn. The hungry part is me and any real scientists, if they’ve been able to read this far without popping an antacid, have consciously or subconsciously said, “What!” I’ll come back to this, but let’s move on to romance. If quantum theory is correct, we ‘know’ each other. Have known, and will know. I asked my wife Sally Ann to marry me two days after we met. (Sally reminds me that we’d only spent about six hours together.) 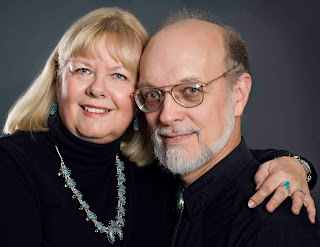 She said yes, and we have been happily married almost forty years. What? How could you have done that? My standard answer is that I recognized her. What does that mean? A young man, I wasn’t particularly looking to get married or settle down. I was doing ok. Had a good job, friends, etc. but in a moment, I looked at her and knew that we had been together before. More than one lifetime, and that she would help me and I her to accomplish whatever we were here to do or learn. I acted, and have ever thereafter been glad I did. Ok, enough Cinderella already. As I related in another post, I don’t spend time worrying about whether reincarnation is true or not. Like any theory that cannot be experimentally proven, as long as the theory provides benefit, as long as it is useful, I employ it. At the beginning of my mental and emotional exploration of this lifetime, (I must have been around nine or ten) I saw an unacceptable inequality. Why could I run and play and another be imprisoned in a wheelchair. What must that individual have done to deserve that. The child was my age and even though I was a creative youngster (I could create trouble with the best of them, as my folks would have agreed) I couldn’t think of anything I could have done that was so heinous as to remove the use of my legs for life. So I dusted off my “why” (a favorite word for a number of years), and accosted everyone I thought might shed some light. No light was forthcoming. “God’s will,” was the closest I came to anyone’s even being remotely confident of their answer. I translated that into “you’re not old enough, smart enough, good enough, to know.” Nah, that never worked for me. I was ok with the concept that adults knew more than I, but I didn’t see the world as evil. Still don’t. That just meant that the adults didn’t know either and that was scary, but still ok. Like most, I pushed the unsolvable problem into the back of my mind until I came into contact with the concept of reincarnation. I must have been about twelve or thirteen. My conceptualization of the physical representation of the questions and answers of the world was kind of like the mail slots behind the desk in an old hotel. Without reincarnation, I ran out of slots. With reincarnation, all of a sudden the mail slots stretched on to infinity. If we had as many mulligans (do overs) as we wanted, then I could buy, not punishment, but creative teaching opportunities. Of course attwelve, I didn’t see it in that way, but at least the gig wasn’t arbitrary. That I could live with. Let’s get back to energy. Patience, romance is not done yet. So the universe loves balance, and energy is neither created nor destroyed. It also doesn’t have a problem finding the address of energies both negative and positive to find that balance. Remember, we’re not worrying about time or space. Electrons like company, and they like to dance. As aggregates of electrons and other stuff, so do we. At least the company part. The dancing waits for weddings and the occasional concert. So it seems to me that we may have begun with a group of close friends. Electrons with some kind of glamour that attracted us more than others. Which is not to say that we’re not in contact with all of the others. It’s just that it’s more fun for the purposes of physicality and non-physicality to hang with a smaller group. How about soul mates. Is there within that group one electron that is closer in its sensibilities to each than any other? I’m just speculating here, but since in this physical world there seems to be more or less two sexes, and given the balance I think the universe is always striving for, it makes sense to me that there is a perfect complement for each of us. Perfect, however, where life is concerned, does not mean final, finished, unchanging. Life is growth, change and I include rocks in my definition of life. Slow doesn’t mean stop. So in the story I spin for myself, we’re part of a group of folks working, learning, evolving from lifetime to lifetime. Some from within incarnation, some from without, always linked. Even the bad guys in our story may be friends in another, only agreeing in this one to create opportunities for us to experience some particular pain and grow. Matter is informed energy. That information doesn’t dissipate just because the vehicle gets old and is retired. Entertain the concept that coherent information doesn’t need form at all. Wow, invisible friends. How cool. 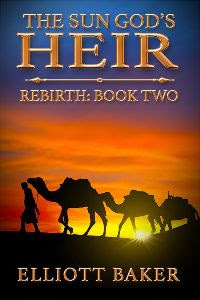 Here is a little from The Sun God's Heir Rebirth, Book Two for your reading pleasure. Set against the wave tossed years of white slavery and Barbary pirates, this is the epic story of René Gilbert and a journey that defies time as he draws on a larger awareness earned in previous lifetimes. The plague’s dark fingers curl around Bordeaux. René must return home to save those he loves. But first he has to escape a Moroccan sultan’s clutches. In Bordeaux, an enemy waits, filled with a hatred three thousand years old. Only René can defeat this dark power, and only if he reclaims his own ancient past. In this arena, death is but the least of failure’s penalties. The medina of Casablanca was a warren of narrow winding streets filled with stalls of all shapes and sizes. René followed Akeefa and Abdul-Karim as they entered through a constricted archway and left behind the blinding sunlight. René stopped to take it all in. A thousand sights and sounds assaulted him at once. An intense level of energy and human striving filled the air. The sounds and smells were strident, immediate. A cacophony reverberated from the walls as metalworkers hammered on copper and brass and iron. Jewelers, leather workers, and weaponsmiths all contributed to the din of men and animals pursuing their desires. The enticing smells of food and coffee pervaded the space. Booth after booth of delicacies was on display along with the occasional goat carcass that hung from the canopy poles waiting for the butcher’s cleaver. René gazed sideways at Akeefa. He knew her well enough not to doubt the possibility of her statement, but he hoped she spoke in jest. “Oh, all right.” Akeefa rolled her eyes. “My master taught me when to make a strategic retreat and this is clearly one of those times. I will want, however, to see that stamina later. Understood?” She glared at Abdul-Karim. René glanced around. Even over the din and chaotic movement of the medina, he had the sensation they were being watched. The fact that he was a Frenchman was immaterial. There were many different nationalities present within the medina. Non, he, René Gilbert, was being observed. “Do you believe they will attack again so soon?” asked René. Both men loosened their blades while Akeefa huffed at the conventions that prevented her from carrying a sword. Still, an attacker would find her armed. Once seated, Abdul-Karim ordered coffee and an assortment of cakes. The square had grown quieter as people found their business called them elsewhere. Men collected in small groups. So far, the numbers of their enemies were not overwhelming and René was content to wait. He glanced at Abdul-Karim. The smile on his face evidenced a gleeful anticipation at the prospect of combat. His friend genuinely liked to fight. Abdul-Karim inclined his head. They stood as groups of men moved to block the exits. “We may not be offered that opportunity.” Akeefa slipped her hand beneath her burka. “Let us make our way toward the medina’s entrance. If we reach the confines of the arch, we gain a slight advantage in the number of our enemy able to come against us.” René’s rapier was in his hand. The scimitar Abdul-Karim pulled from his sash reflected sunlight along its razor sharp edge. A wicked looking dagger appeared in Akeefa’s hand. René eased left of Akeefa leaving a sword length between them as Abdul-Karim stepped to her right. The square was now empty except for the growing number of armed men drawing their swords. René studied the upper stories of the souk. No musket barrels protruded from those windows. “I will do my clumsy best.” Akeefa managed to move to the front, intentionally tripping on her burka. The number of men waiting before the medina’s arch had increased to ten. Smug smiles played on their faces. Apparently they found humor in two men so cowardly as to hope a woman would protect them. One eager young mercenary swaggered out to meet Akeefa. “Throw down your weapons and your deaths will be easier,” said the man as he waved his scimitar toward Akeefa. He ignored the dagger that shook in her trembling hand. “D…do you intend to kill us all?” Akeefa stuttered in a high-pitched voice. In the briefest space of time, Akeefa moved to within striking distance and slit his throat, relieving him of his weapon before his body crumpled into the dust. The others froze at the speed and skill with which she had dispatched one of their own. In that timeless moment of inaction, René and Abdul-Karim each killed two men of the nine left standing before the arch. René looked up. More armed men ran toward the arch. He paused and settled within, allowing his training to govern his actions. He sensed more than saw Akeefa adjust her clothing. She ripped the scarf from her face and stood in as wide a stance as the burka allowed. She reversed the scimitar and jammed it between her legs, slicing the thin material to the ground. Thus unencumbered, she returned to the fight. René nodded and on cue they formed a circle, defending each other as well as dispatching those who came against them. They narrowed the access lanes which caused their attackers to fight each other to get at them. “Move toward the arch,” said René. There were too many swords slashing at them. Their progress was slow. These men were not the highly trained Hashashin, but they were experienced enough that their numbers would eventually prevail. Although René had no desire to kill, this fight did not grant him that moral luxury. He picked up a second sword and wielded both with withering accuracy. The attackers who faced Akeefa died with an expression of bewilderment. Still, too many swords. Every moment reduced their chances. 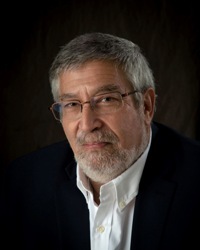 Award winning novelist and international playwright Elliott Baker grew up in Jacksonville, Florida. With four musicals and one play published and performed throughout the United States, New Zealand, Portugal, England, and Canada, Elliott has turned to writing novels. His debut novel, The Sun God’s Heir: Return, Book One of the trilogy, was released this past January. Rebirth, Book Two will release April 18th, followed in July by the third and final book of the series, Redemption. This is a delicious meal that my family loves. I love it because it's easy and takes no time at all to prepare. 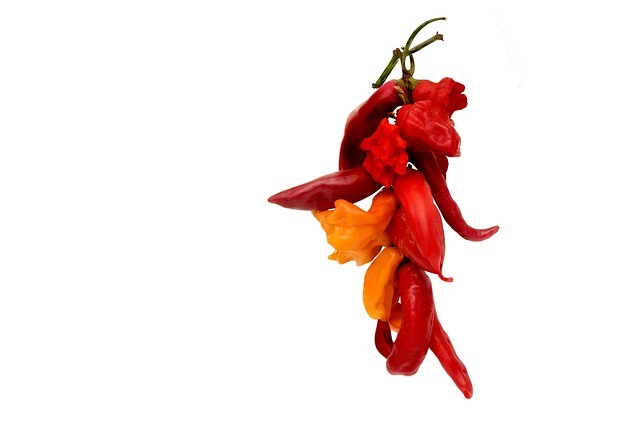 Serve with mashed potatoes and fresh green beans. Don't forget the Chianti. You deserve it. Tear both breads into soft bread crumbs. Soak them in milk for about 5 minutes. Combine onion, parsley, meat, cheese, egg, salt, and pepper in a large bowl. Drain milk from bread. Add bread to the bowl and mix until well blended. Shape into a loaf. Place in shallow baking dish. Dot with butter or margarine. Bake for 30 minutes. Remove from oven. Pour tomato sauce over the loaf and sprinkle with oregano or Italian seasoning. Bake for 20 or 30 minutes longer or until done. Here's a little from Alicia's latest book. Lyssa and her best friend Abbey discover a hideout near the train tracks and spend the summer before sixth grade hanging out and finding freedom from issues at home. Their childhood innocence shatters when the hideout becomes the scene of a tragic death. As they’re about to graduate from high school, Abbey’s family life spirals out of control while Lyssa is feeling guilty for deceiving Abbey about her sexuality. After another tragic loss, Lyssa finds out that a penny on the track is sometimes a huge price to pay for the truth. I was jerked from my sleep while the phone was still buzzing its first high-piercing ring. I glanced at the clock on the nightstand beside my bed. It read 4:17 a.m. I knew something was wrong. The second ring was abruptly broken up and my mother’s muffled voice carried into my room. I was already sitting upright in my bed when my bedroom door squeaked open. My mother’s slight figure appeared as a shadow near my door. “Lyssa? You up?” she asked. “What’s wrong?” My voice was no louder than a whisper. I watched my mother slowly make her way into the dark room. I couldn’t make out the expression on her face, but the stiff movement of the outline of her body was hesitant. She turned on the lamp and sat down beside me. Her face was pale. She let out short, shallow breaths. It seemed difficult for her to look me in the eyes. I took in her words without an ounce of denial. The reality of what my mother had told me was instant. My best friend was dead. Alicia Joseph grew up in Westchester, Illinois. Her first novella, Her Name, was published by Musa Publishing in 2014. Her Name is a sweet, romantic story about a woman who believes the beautiful woman she dreams about is the real love of her life. Loving Again is her second published novella. Alicia is currently working on a new novel called A Penny on the Tracks, a coming of age story about love and friendship. Alicia has many works-in-progress that she hopes to finish soon. When she is not writing, Alicia enjoys volunteering with animals, rooting for her favorite sports teams, and playing “awesome aunt” to her nine nieces and nephews. Learn more about Alicia Joseph on her blog. Stay connected on Facebook and Twitter. If sweet romance is your thing then this book is for you. 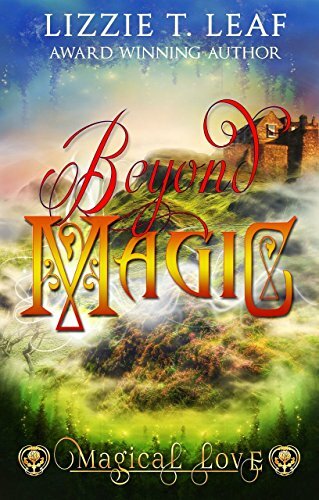 Mari Boudreaux deals with real problems that people over twenty-five encounter and turns those situations into beautiful love stories. She is a writer you definitely want to read. Here's a brief intro to her newest book. Graham Bradley doesn't know a thing about the newspaper business. A widower with a promise to keep, he's got more than just his own personal welfare riding on this small-town paper. The last thing he needs is a pushy woman with a secret in her past and a vicious red pen throwing all his mistakes and insecurities front and center on his desk. Faced with an impossible choice, Graham hires Andi, but hopes she's not just the last-and maybe worst-in a long line of bad decisions. Saving the small-town Gazette is the second chance both Andi and Graham need. But with bill collectors calling, Andi's past catching up fast, and the chemistry between them making work next to impossible, will Andi and Graham get the second chance they both desperately need? Or will their demise be the next big headline? As a teen, Marci Boudreaux skipped over young adult books and jumped right into the world of romance novels. She's never left. Marci lives with her husband, two kiddos, and their numerous pets. She is a freelance writer appearing monthly in a variety of local magazines as well as a contest editor. She now focuses on writing and her work as a content editor. Learn more about Marci Boudreaux on her website and blog. Stay connected on Facebook and Twitter. After a long winter, one yearns for a light entrée with the magic combination of olive oil, lemon, garlic, and oregano (all part of the heart healthy/dementia defying Mediterranean diet) that will make you think of sunshine, soft breezes, and sand between your . . . toes. This recipe serves four. 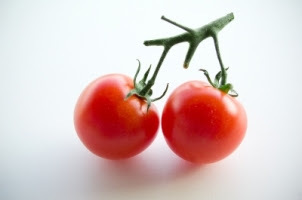 Combine drained tomatoes, olive oil, lemon juice, garlic, oregano, salt, and pepper in a bowl. Pound chicken breasts to even thickness between two sheets of waxed paper. Slice each breast into 2 horizontal pieces. Salt and pepper the meat. Chop artichokes into smaller pieces. Put handful of artichoke in a casserole. Lay chicken over them. Scatter remaining artichokes over chicken. Cover with tomato mixture. Bake 30 minutes. Sprinkle cheese over top and broil for 5 minutes or until golden. Serve with noodles or pasta such as orzo. At some time in our lives, many of us will be refugees--people fleeing from traumatic situations such wars, earthquakes, fires, floods, or the aftermath of debilitating illness, death, divorce or betrayal. Help for some may come from family members, friends, and spiritual leaders. Within the medical profession, it is often psychiatrists who help those who have been traumatized by such events. No Greater Love is a contemporary, international romance featuring a psychiatrist and a nurse who help those who are refugees only to discover that they are the only ones who can save each other. The story moves from East Aurora in Western New York to Leiden and Amsterdam in The Netherlands. Descended from legendary Circassian beauties once sought for Sultans’ palaces, Janan, a survivor of an earthquake in Turkey that killed her family when she was eight years old, was adopted by an older, childless couple in East Aurora. 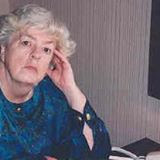 Her adoptive father was raised with a cousin, Carl, who, in 1939 at the age of 5, had been sent from his home in Leiden by his Dutch-Jewish father to his uncle in the US to save him from Nazi occupation of The Netherlands. Now, 28 years old, Janan has spent her life working as a nurse, caring for her parents, and, after their deaths, helping the aging Carl. When Pieter, a young Dutch psychiatrist who Carl mentored, comes to Buffalo to be evaluated at Roswell Park Cancer Institute, he meets Janan and knows the sweet power of love for the first time. He also knows that, even if he lives, treatment for leukemia may leave a man unable to father children. Realizing she has fallen in love with Pieter and fearing that life is passing her by, Janan asks him for one night. During that one night, cloistered in Room 203 of the venerable Roycroft Inn, Pieter teaches Janan the eight different kisses of seduction. It is a night that changes the lives of all. As an impoverished student nurse at Albany Hospital, Eris met her future husband, an equally impoverished Turkish surgical intern who told her fascinating stories about the history of Turkey, the loss of the Ottoman Empire, and the painful experience of forced population exchanges. After years of working as a nurse, teaching psychiatric nursing, and raising a family, Eris now writes novels--international, contemporary romances that incorporate her interest in psychiatry, history, people from different cultures, and the problems of refugees. Although the characters in Eris’s novels are often from other countries—The Netherlands, Turkey, and Kurdistan— her novels are usually set in Western New York--The land of Father Baker, Jericho Road Refugee Center, the Buffalo Bills, Wings, and snow--chunky rain snow, lake-effect snow, horizontal snow, the snow of thunder snow storms, dry, fine snow, curtains of wet heavy snow, and whiteouts. 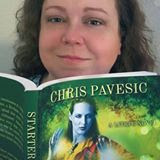 Chris Pavesic is the author to read when you want spellbinding stories with top-notch characters. Pavesic's latest collection is powerful and showcases the true talent of this award-winning author. Praise for "The World in Front of Me": "This reminded me a lot of the Lakeside community in Neil Gaiman's American Gods, but I won't say anymore about that for fear of giving away spoilers. But fans of Gaiman should really enjoy this story. 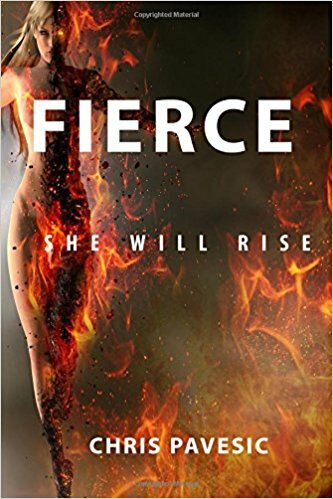 Fans of strong women who make tough choices should enjoy this as well.”--Karissa Sluss, Author. with breakfast from Lizzie T. Leaf. This recipe makes two amazing sandwiches. Preheat oven to 210° F.
Fry sausage on medium heat. Place pan in oven to keep warm while you continue. Break eggs in a small bowl. Mix well. Melt butter in a small frying pan. Add eggs and scramble. Cut in half and then fold over. Place pan in oven to keep warm while you continue. Spread cream cheese across the bottom of each bun. Smear salsa on top of cheese. Layer on sausage and then egg. Place top bun on your masterpiece and indulge. Here is a little from my latest spicy romantic release. I hope you enjoy it. for International Best Selling author Susan Lodge! 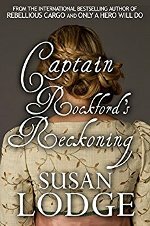 Crooked Cat Books is proud to release the brilliant historical romance Captain Rockford's Reckoning. This book is bound to be another best seller for the creative Ms. Lodge. Esmie Elstone is thrown into panic when she hears of Captain Rockford's return. But she is determined that the days of him interfering with her life are over. Destroying her chances of a happy future on his last visit, had resulted in her being foisted on her Aunt for a third pointless season in London. To alleviate the boredom of society life, Esmie helps run a discreet betting enterprise under the guise of a sewing club. But there are some things you just shouldn't wager on, and Esmie's integrity is soon put to a dangerous test. Richard Rockford had known Esmie almost all her life. As neighbours, Admiral Elstone had depended on Richard to keep an eye on his daughter when he was away at sea. The responsibility he had always taken on willingly. But her cruel and thoughtless actions, from the day he had left four years ago, had shaken him. Now he was back and wanting answers. But when Esmie tumbles into a treacherous conspiracy, can he really turn his back on her? Susan Lodge’s first publishing success was a story purchased by a major UK magazine followed by a drawer full of rejections. 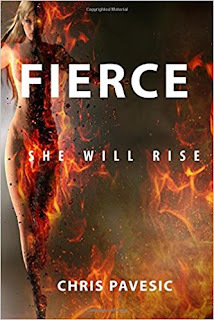 Finally a breakthrough gave her the confidence to seek and secure a publisher for her historical romance novels Only a Hero Will Do and Rebellious Cargo. After working in several cities including London and Bristol, she and her husband moved down to the Hampshire coast to raise their family. 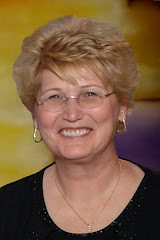 Learn more about Susan and her books on her website and blog. 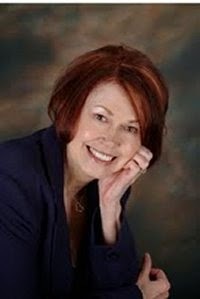 Stay connected on Facebook, Twitter and her Amazon Author Page. 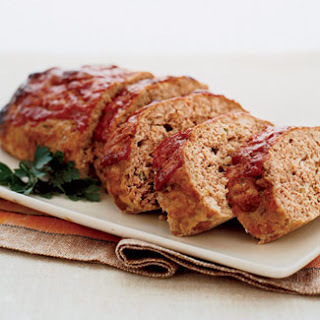 A quick and easy meal that is sure to impress your special someone, family and friends. Serve with sliced tomatoes, orzo, and a bottle of dry white wine. Be sure to drizzle plenty of sauce over the pasta. Have everything measured and ready to go before you start cooking. This recipe only takes a few minutes so you must be prepared. Rinse and pat dry the scallops. Add olive oil and butter to a frying pan set on medium-high heat. Add the scallops when the foam subsides. Sear 2 – 4 minutes per side. Make sure they are golden edging into brown before you turn them. Add garlic when you turn the scallops. 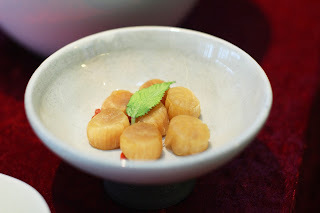 When they have reached the proper color, remove the scallops to a bowl and set in the oven to keep warm while you make the sauce. Spoon out the garlic from the frying pan. Skim off some of the fat that has floated to the top. Carefully add the wine, all the while scraping in any browned pieces on the sides and bottom of the pan. Cook until the mixture reduces by about ⅓. Lay the scallops on a bed of orzo either on a platter or individual plates. Lace the sauce over the dish, top with chives and serve. May you enjoy all the days of your life filled with laughter and seated around a well laden table! Today's special treat is a delicious candy recipe from C.D. Hersh along with a glimpse at their terrific book, Can't Stop the Music. Melt butter in 3 qt. pan. 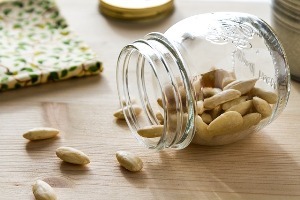 Stir in sugar and nuts. Turn heat to high. Cook 5 minutes, stirring rapidly, until the mix turns dark and burps smoke. Pour into greased 9 x 13 inch pan and spread evenly. Sprinkle on chocolate chips. When they melt, spread smooth. Chill and cut into pieces. Now I invite you to step back in time with C.D. Hersh to an era when free love, hippies, and Woodstock filled a generation with hope for a better world. 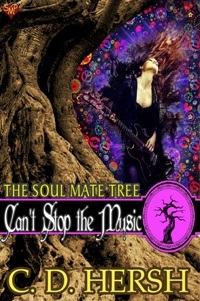 Can't Stop the Music is contemporary romance, with just the right touch of paranormal, that brings back memories both sweet and a little painful. So grab your love beads, turn up the volume, and settle in for one hellova a good read. For college senior and hippie wannabe Rosemary—Rose for short—a teaching job is within her grasp, but she wants more. She wants love, the kind of love that has bound her parents for so many years. When she’s dumped by her current boyfriend because her morals can’t bring her to give in to free love, she finds herself at Woodstock in the middle of the biggest free-love music festival of the Sixties. Alone, again. 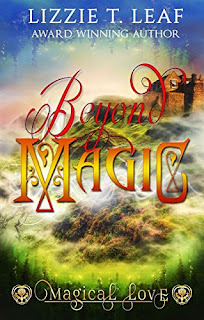 Until a magical tree grants her wish and she finds the man of her dreams—and loses him before she really knows who he is. Magic and music bring them together at Woodstock in 1969. Misunderstandings tear them apart. Will two flower children find one another again, or live with missed opportunities?